Want to pick a pseudonym? 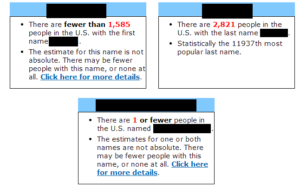 This interesting little site claims to tell you how many others in the U.S. share your name. 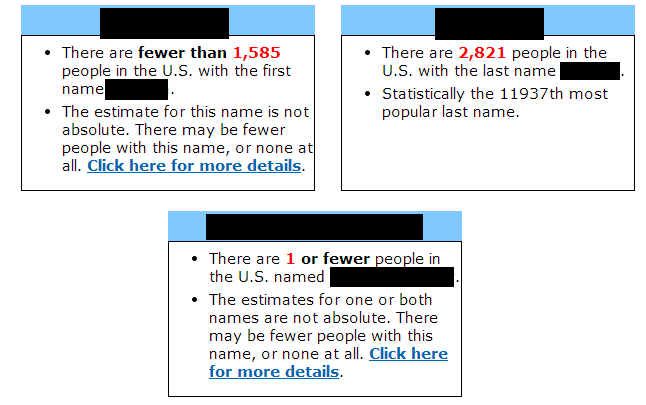 For me, this indicated that both my real name and each of my pseudonyms are unique enough that only 1 person in the U.S. has each of those names. And that would be me.